This collection has a gentle touch of everything – hand carvings, buttoned upholstery an elegant, gently curved headboard and footboard. 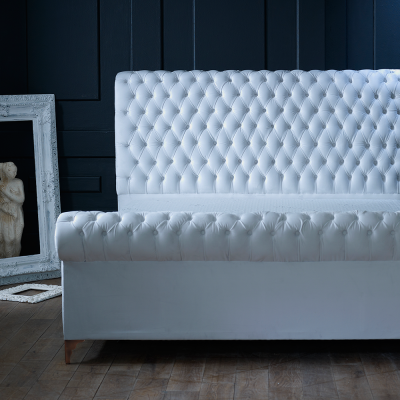 Upholstered in luxurious soft velvet the Duchess will take centre stage in any bedroom. This French inspired range is made of sustainable solid Oak with an exquisite neutrally toned, painted finish. 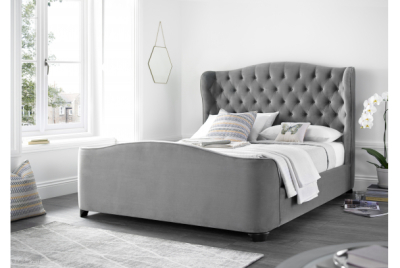 This unique bed frame features a grand headboard and foot end with a luxurious buttoned and padded design.